In just a few years, portable computers have changed so much that they hardly resemble the large, clunky machines of just 15 years ago. 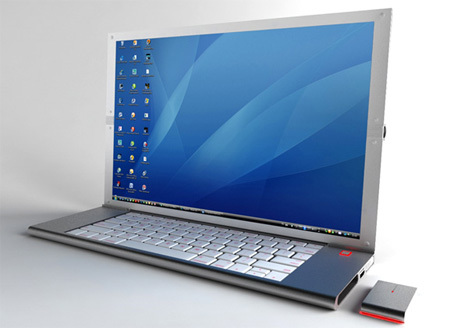 But technology never stands still, and this conceptual design from Niels Van Hoof may in fact be the next step in notebook evolution. The small notebook is called Feno, and it is a surprisingly graceful little device. 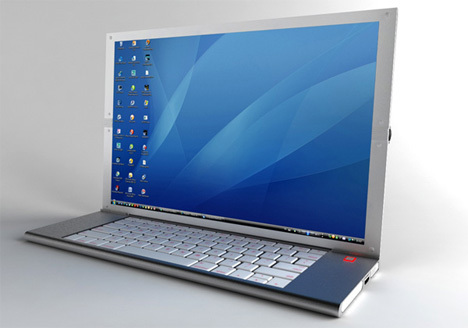 It utilizes a flexible OLED display to allow the screen to fold around the keyboard. The result is a far smaller folded size than has ever been possible before. The truly wonderful part of this design, though, is the pop-out mouse that eliminates the traditional touch pad on most netbooks. The wireless mouse cuts down on the size of the keyboard component and eliminates the headaches that come with trying to type on a small keyboard without activating the touch pad. 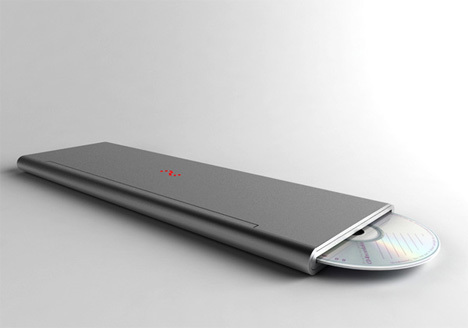 The designer doesn’t indicate the side of the Feno, but judging from the pictures and the size of a standard CD (4.75″ diameter), it looks like it would be around 5 inches X 12 inches when folded, making it small enough to slip into your backpack or purse easily. 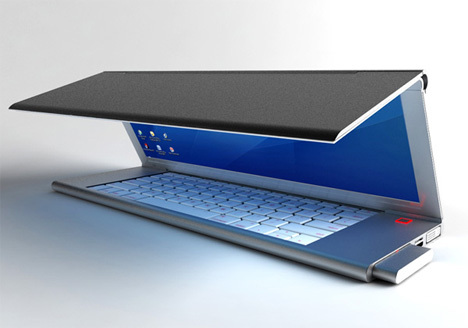 This incredible concept gives a bright new vision for the future of portable devices. See more in Computers or under Gadgets. May, 2011.